But wait! Reports of the death of the Samar dunes and its biodiversity may have been somewhat exaggerated. The story of the ecological island of 2.3 square kilometers in the middle of agricultural fields, a veritable Noah's Ark of unique reptiles and mammals, plants and insects, is not over yet. A handful of activists placed themselves between the bulldozer and the sand last month in a last-ditch effort to save the dunes; a group of local residents are awaiting a decision on their petition to the courts claiming that contractors have already removed the amount of sand specified in their contract; the state attorney's office says that the contract limits the mining to one corner of the dunes; and conservation advocates have produced evidence that sand is available at a less-sensitive site around the Timna mines across the Arava highway. The battle to save nature in one corner of Israel continues. What do we stand to lose? As biodiversity goes, it's a hard sell to make the spider's existence relevant. It is, after all, a spider. It's unlikely that its DNA holds the clue to a cure for cancer, nor is it a central part of our diet. No one makes a profit from selling the spider, and tourists do not travel across the world and infuse our economy with foreign currency just to see it. The fate of the sand cat or the sand fox, both of them larger and furrier than the spider, might have more popular appeal — but they are already almost locally extinct due to previous dune destruction. But the spider and the cat and fox represent much more than their species. They and the rest of the millions of our planet's species provide us with what scientists refer to as ecosystem services that together make our lives biologically possible and worthwhile. The control of pest species, the pollination of crops, the balancing of gases in our atmosphere, and the continued availability of fertile agricultural land and forests all depend on an untold number of species. Since we don't know, and may never know, which species are keystones for our survival, and which are ecologically superfluous, we should protect them all. Instead, we are eliminating species. Consider that, according to the International Union for the Conservation of Nature, of the 5,500 known mammal species in the world, between 20 percent and 35 percent are threatened with extinction due to human activities. In Israel, 5 mammal species are already known to have gone extinct in the past century, and 62 percent of the 100 remaining ones are endangered. The Samar sand dunes are the last remaining Arava dunes on the Israeli side of the border — the rest long since transformed into agricultural fields and hothouses. If we allow them to be quarried, we are knowingly destroying the species within them. Beyond their ecological value, the Samar dunes are a beautiful site for recreation, scientific study and education. Residents of Kibbutz Yotvata have a trans-generational tradition of walking out to the dunes on Shabbat. Students of Kibbutz Ketura's Arava Institute for Environmental Studies use the dunes for ecological research (leading to the discovery of the aforementioned spider by the University of Haifa's Dr. Uri Shanas). In research I conducted last spring, I surveyed 150 residents of Eilat and the kibbutzim of the southern Arava and 70 percent were either against or strongly against development in the remaining sand dunes, with less than 5 percent supporting development. Ben-Gurion University graduate student Hila Sagi conducted tens of in-depth interviews with local residents and found that protecting the landscape of the Arava was of paramount importance, and the Samar dunes were repeatedly mentioned with reference to their aesthetic, recreational and educational importance. Minister of Housing and Construction Ariel Atias proposed a compromise last month that would save some of the dunes that were scheduled for mining. But activists countered that since the dunes are the last of their kind in Israel, all that remains should be preserved, and ecologists point out that even if the dunes are only partially mined, species will certainly be lost. 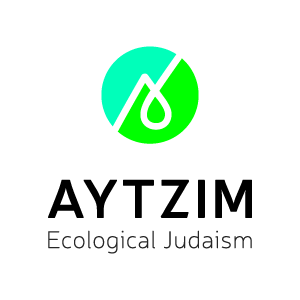 This decision is a microcosm of the existential issues facing nature preservation in Israel in general. Government agencies have made good decisions in the past — the forests west of Jerusalem and the Palmahim beach are still open for nature conservation and recreation due to government decisions to protect them from superfluous development. So, too, can we preserve the Samar dunes from further destruction.